Strong, intriguing start...eventually leading nowhere before completely petering out. For perhaps 40 minutes, though, I thought we had a darker version of Arrival on our hands, and that was promising...until it just wasn't. Oh well. An 'A' for effort. Highly stylized, great mood, cool vibe...all leading to brick walls. On that score, a bummer, but for 'feel,' well, it gave me the feels. 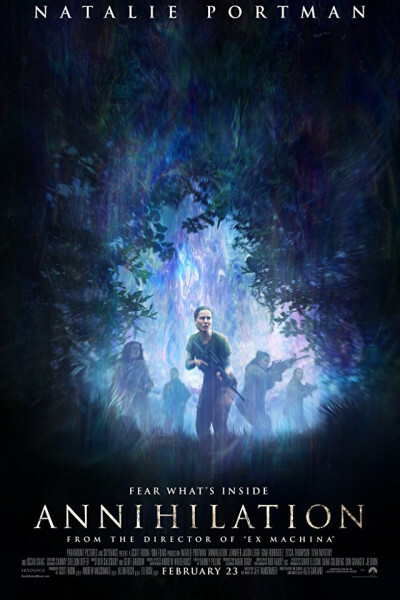 If you like Stranger Things, then odds are you'll enjoy Annihilation. But if, like me, you've arrived at the disappointing conclusion that Stranger Things is much ado about nothing, you'll likely arrive at the same conclusion here.